Today's IAM solutions, warns enterprise cybersecurity expert SSH Communications Security, fail to address fully the requirements of trusted access. Organizations lack an efficient way to manage and govern trusted access credentials and have no visibility into the activities that occur within the secure channels that are created for trusted access operations. 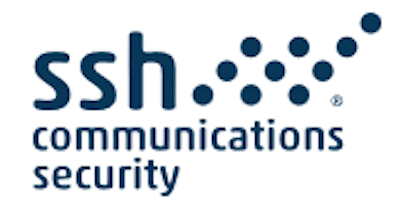 Leading the charge to fix the issue once and for all, SSH Communications Security announced significant enhancements to its Universal SSH Key Manager (UKM) solution. UKM helps organizations more effectively manage SSH user key-based and encrypted access, control privileged access and enforce defined compliance policies. In addition, UKM helps customers discover, monitor, lockdown, remediate and automate the lifecycle of SSH user key-based access for interactive and machine-to-machine trusts without disrupting existing processes or the need to deploy agents. Updates include application-level policy management, status and compliance reporting and a new SSH Risk Assessment Tool.